Veolia, the giant French corporation which operates in Australia and world-wide, has finally lost its claim against Egypt over a waste management contract dispute in which they claimed compensation for an increase in the minimum wage under a new labour law. Its claim was for €174 million (A$268 million), and was launched in 2012. On May 25, 2018, the IAR Reporter stated that the ICSID Tribunal had dismissed the claim by Veolia. Veolia has not issued a statement, nor has ICSID, the International Center for Settlement of Investment Disputes of the World Bank, published the details. 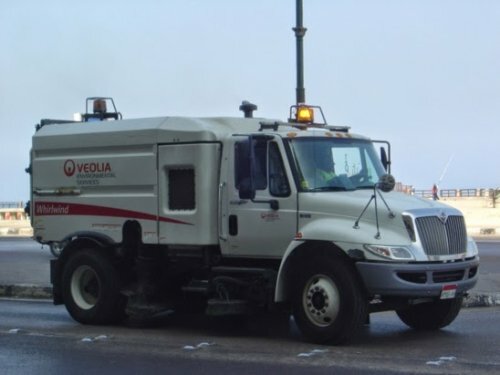 Veolia had signed a contract with the Governorate of Alexandria in 2000, to provide waste management services for 15 years. In 2012 Veolia took action against Egypt under the Bilateral Investment Agreement between France and Egypt, which allows for a French investor to sue the state if they can claim that a change in law causes damage to its investment. In this case part of the damage was alleged to arise from the increase in the minimum wage following a change in the labour law. It took until April 2105 for the Tribunal to rule that it had jurisdiction over the case, and a further three years for the three-person panel to decide against the company. This is an important win for government’s right to improve workers’ wages against a private investor’s ‘rights’. But the detailed reasons for the decision remain secret. However, it is also another case where governments lose even if they win, because the Egyptian government had to spend six years defending the case and pay millions of dollars in arbitration and legal costs. Although the costs of this particular case have not been made public, OECD studies show that average costs are $8-10 million and can be as high as $30 million.